On a very wet and wild night I recently attended a joint presentation on the Natural Hazards section of the City Council’s 2nd Generation District Plan. With the pot belly stove blazing away in the hall the presentation was a very useful and thought-provoking one. 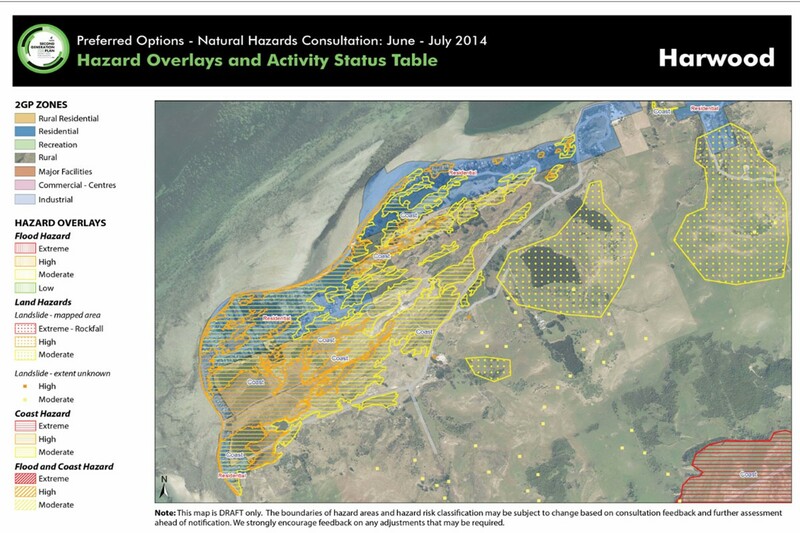 The preferred options for this section of the coming District Plan has been a joint approach by the Otago Regional Council and the Dunedin City Council and has covered, flooding from rivers, and the sea, storm events including tsunamis and sea level rise as well as land instability and earthquakes. 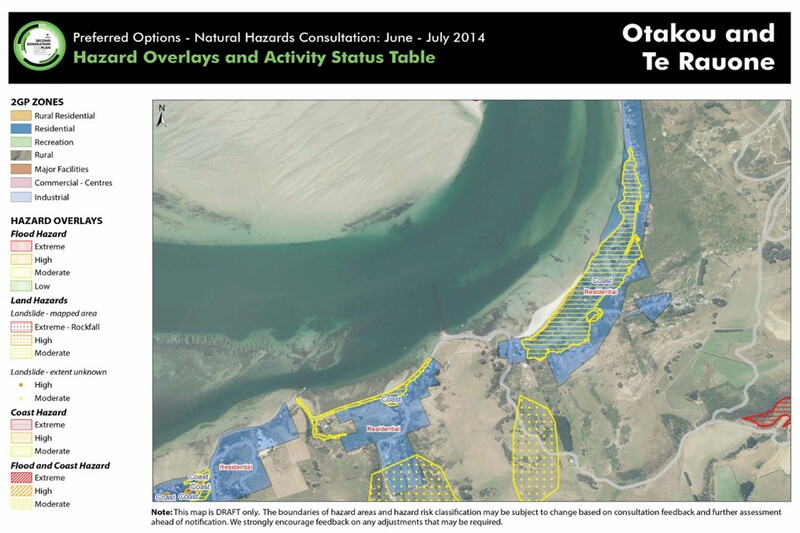 For low-lying areas on the Otago Peninsula like Ocean Grove, Harwood, Otakou and Te Rauone the risks of inundation from storm events and sea level rise are quite significant. The new District Plan may affect activities such as new construction and land use in the future. Its imperative that landowners and householders participate in the consultative process with the City Council over how this part of the District Plan may affect them. The City Council have developed an interactive mapping programme so you can see how this will affect your individual property. The consultative programme closes on the 1st of August, so if you have questions or concerns take the opportunity to look at your options for having a say of this aspect of the District plan here. This entry was posted in Otago Harbour, Otago Peninsula, Otago Peninsula Community Board, Paul Pope and tagged 2GDP, District Plan, Dunedin, Dunedin City, Dunedin City Council, Harwood, local government, Natural Hazards, New Zealand, Ocean Grove, Otago Peninsula, Otago Peninsula Community Board, Otakou, Paul on the Peninsula, Paul Pope, Public Consultation, Te Rauone, Tomahawk on July 11, 2014 by Paul on the Peninsula.